A major role of the National Library and Documentation Services Board is to identify the training needs of the different categories of libraries, organize and conduct In-service training programmes, seminars, workshops, lectures etc. 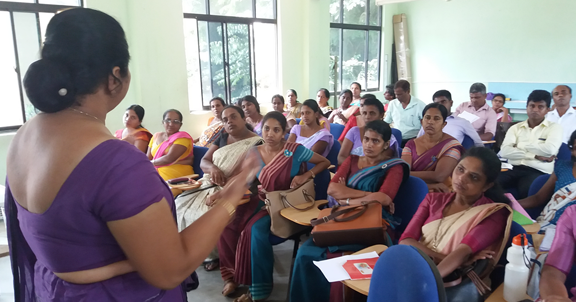 for librarians and library staff, awareness seminars for heads of institutions which the libraries are under them, directing and coordinating of library education activities in Sri Lanka. Through these programmes, National Library expects to upgrade the efficiency and effectiveness of the library professionals in the country. Persons who intend to have training on library activities may request to National Library and Documentation Services Board.